The smell of high octane fuel… the rumble of 400 horsepower engines… the roar of an excited crowd… that’s how I spend my summer Saturday nights. We are so lucky to have a ½ mile dirt track so close to home. 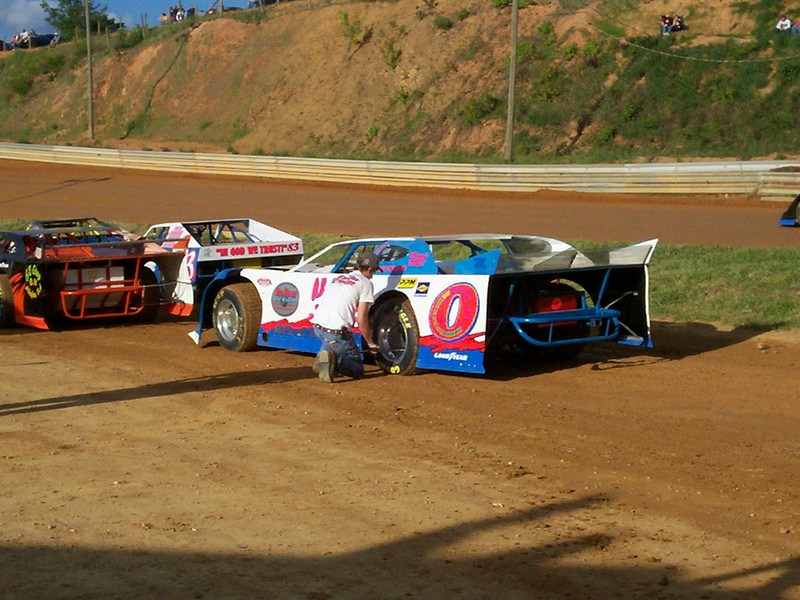 Wythe Raceway is located in Rural Retreat, VA. It’s a wonderful place to take your family on a warm summer night and watch hours of dirt track excitement. 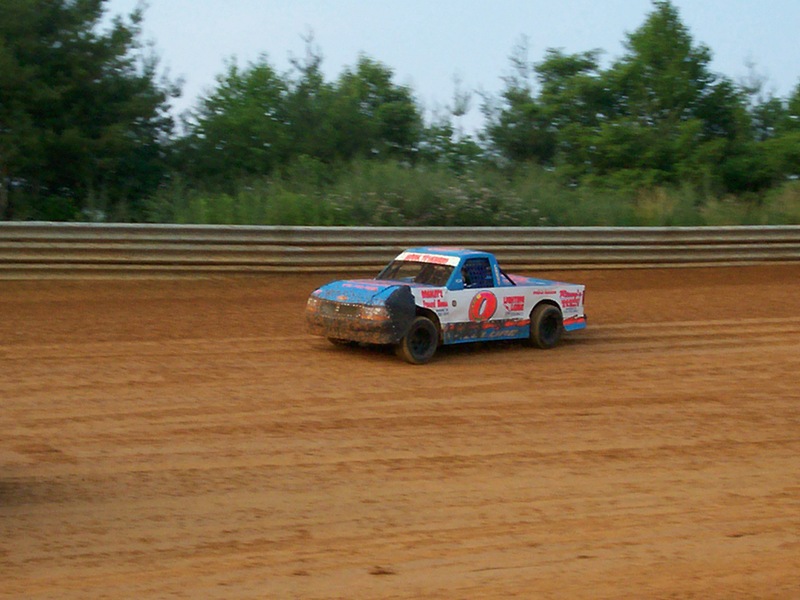 My boyfriend, Chris Warren, raced the Mark IV Honda #0 truck at Wythe Raceway last year. 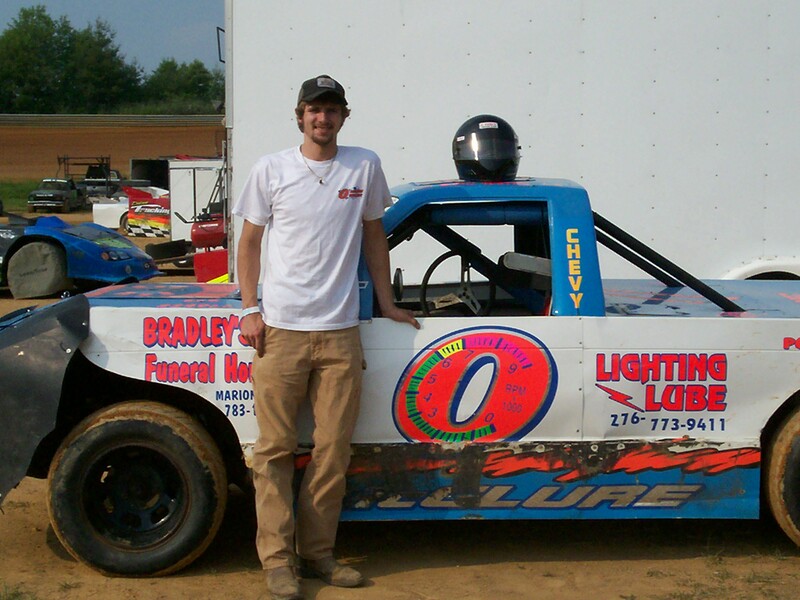 He has been the crew chief for #0 Pro Late Model driver Brandon McClure now for almost 3 years. 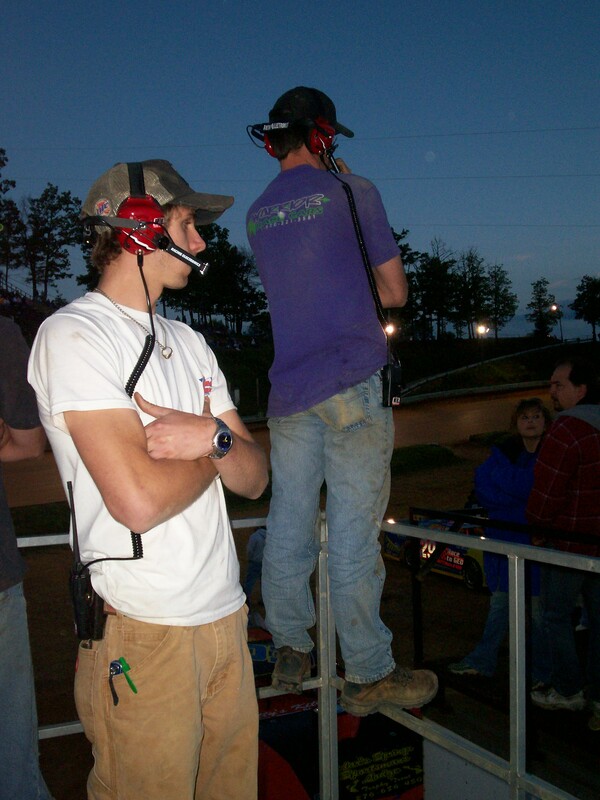 He finished off the 2006 season as Rookie of the Year for the Mark IV Truck Division. Emotions run extremely high for the fans, pit crew, officials, but especially for the drivers. A lot of driver’s were born to race — driving well every week even if their car isn’t. Others struggle every week with a perfect car. Along with guts… It takes money. Just as some drivers were born to race, some were also born into money. Some drivers race like it doesn’t matter what they mess up; they have the funds to fix it. Some drivers race almost too careful because they are afraid of messing up their precious toys. They spend 50 to 75 percent of their paychecks on racing. You’ve always got drivers and crews at each other’s throats. Makes for a good rumble every now and then, but with the threat of getting kicked out of the pits, most people are satisfied with words or, more excitingly, settling it on the track. One of the driver’s mothers brought me to tears one night. I was watching her watching her son race. My eyes went from her to her son on the track, back to her and back to him. I watched her cheer and scream and pray. After 20 laps, it was her son who crossed the finish line first, her son who passed all the other cars, her son who took the checkered flag and her son who the crowd in the stands stood on their feet and cheered for. Her facial expression and her obvious swell of pride immediately sent tears to my eyes that I had to choke back. 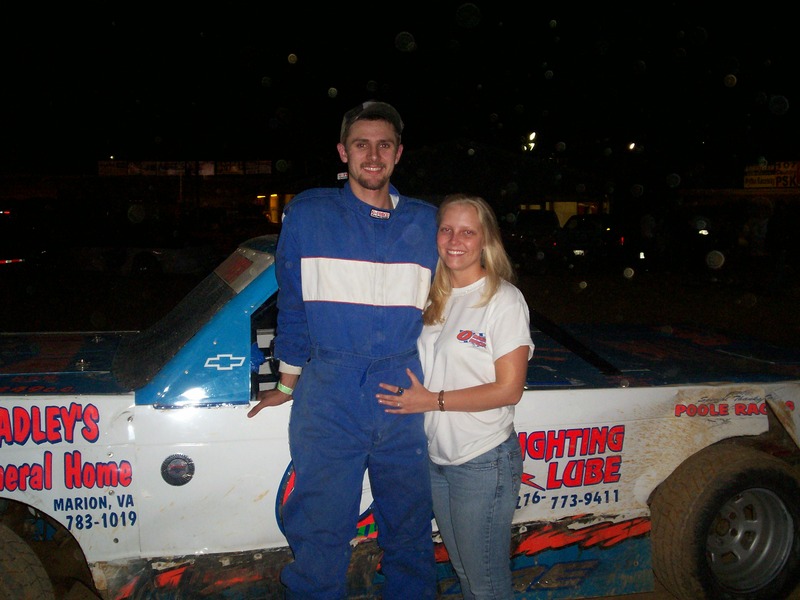 Chris and I After His 1st Win! That’s just one instance of how emotional it can be. One minute you’re so happy and then the next… you’re so mad you could spit nails. It’s great! I love it!